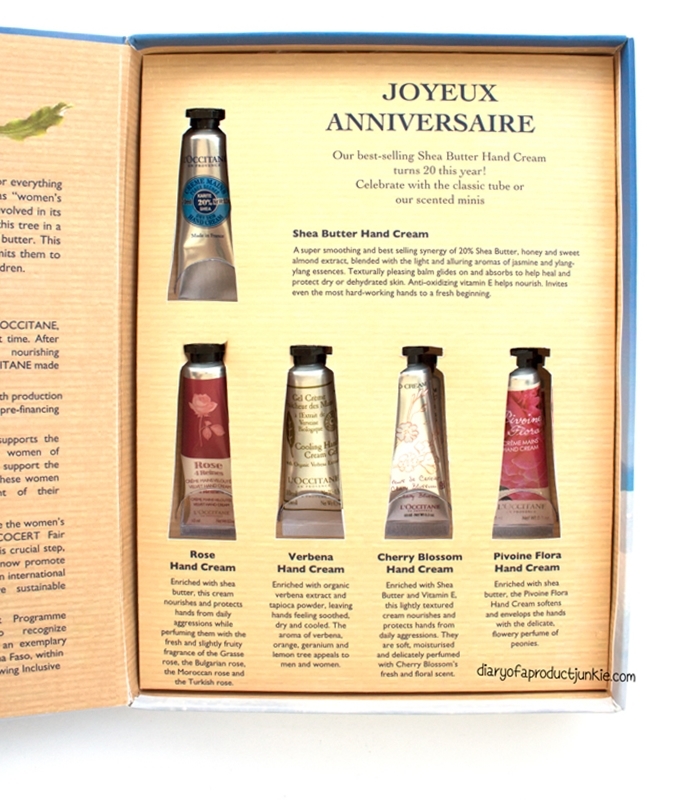 To join the celebration, L'Occitane sent me their classic tubes of scented minis for me to try. The shea butter is so popular that one is sold every 3 seconds around the world! 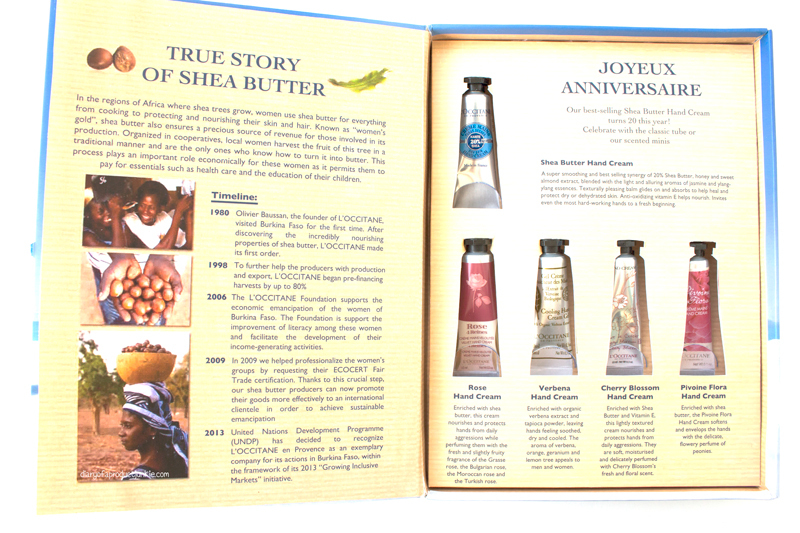 They are packed in this blue box that opens like a book, complete with the history of Shea Butter back in Burkina Faso. The scented minis are the staple scents, not the limited editions that sometimes pop up in the store. 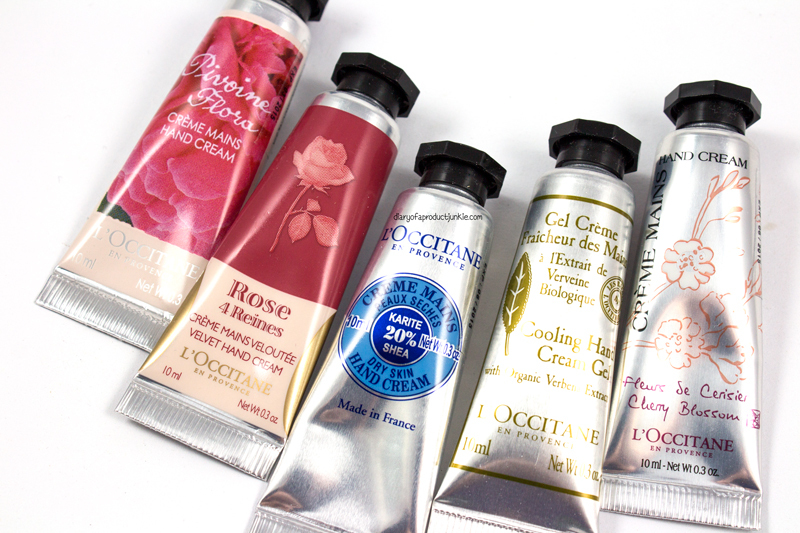 There is the original shea butter, Rose, Verbenna, Cherry Blossom and Rose 4 Reines. 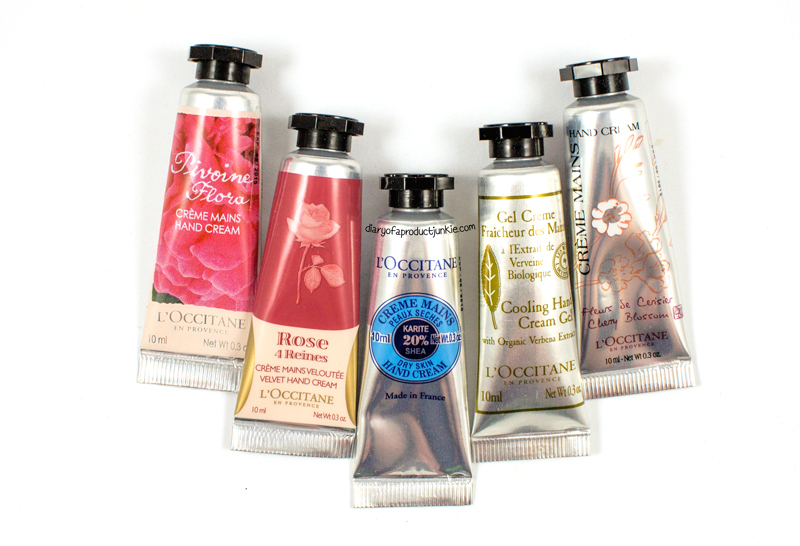 Here is a close up of their scented minis that helps moisturize dry hands and keeps them soft. I like the original shea butter for daily use at home because of the subtle scent. I do prefer scented ones like the Rose 4 Reines when I'm out and about. 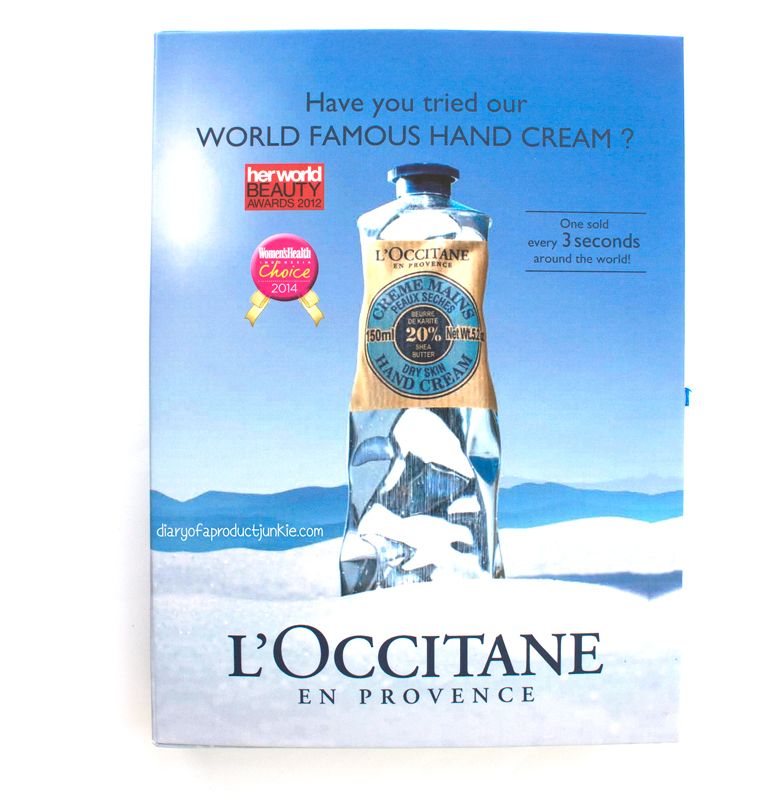 The hand cream has a solid consistency that won't fall down when it's positioned upside down. 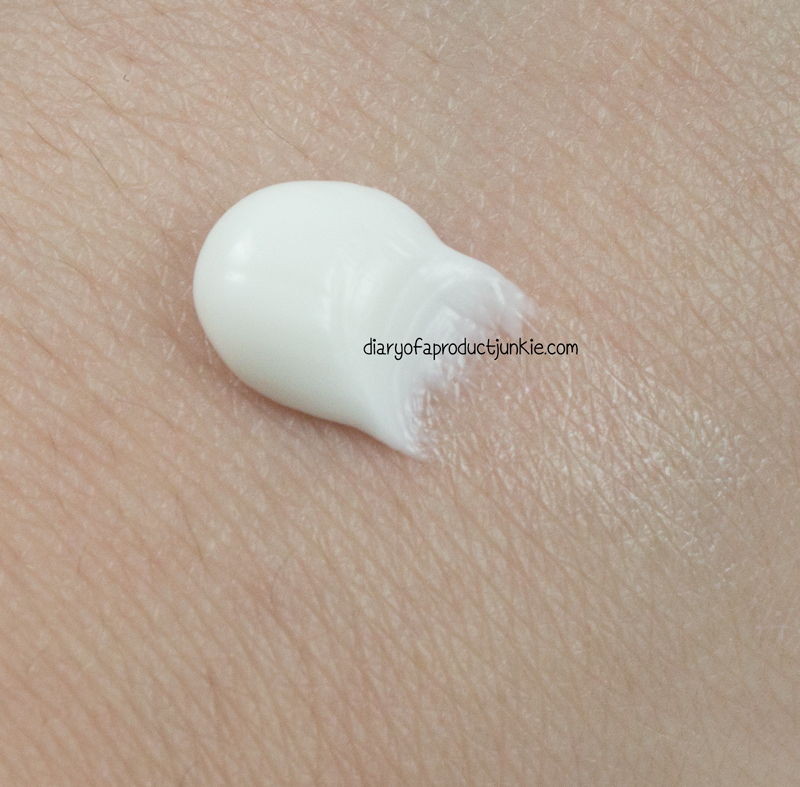 It spreads easily onto the skin and doesn't leave a greasy finish afterwards. It may be a turn off if you don't like nutty-buttery scent, but there should be a scent that will cater to your needs.